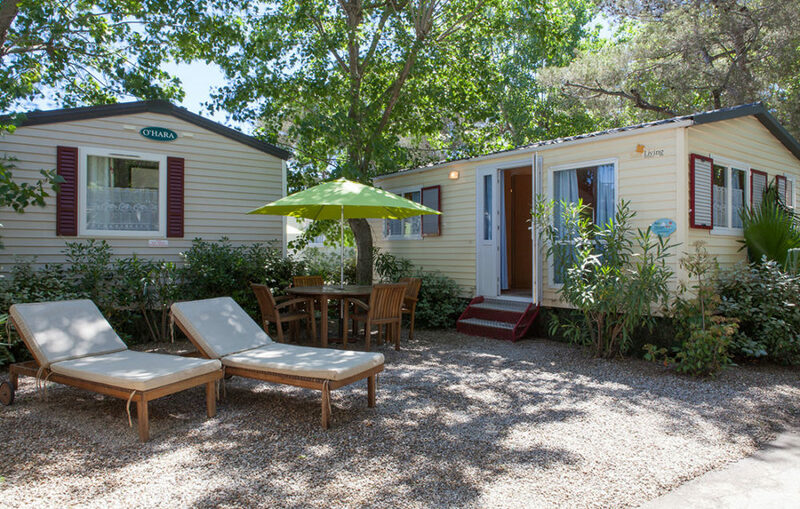 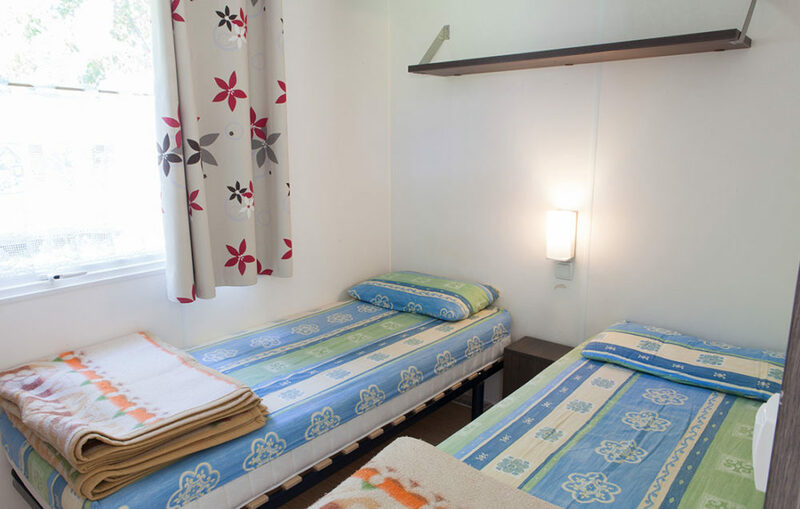 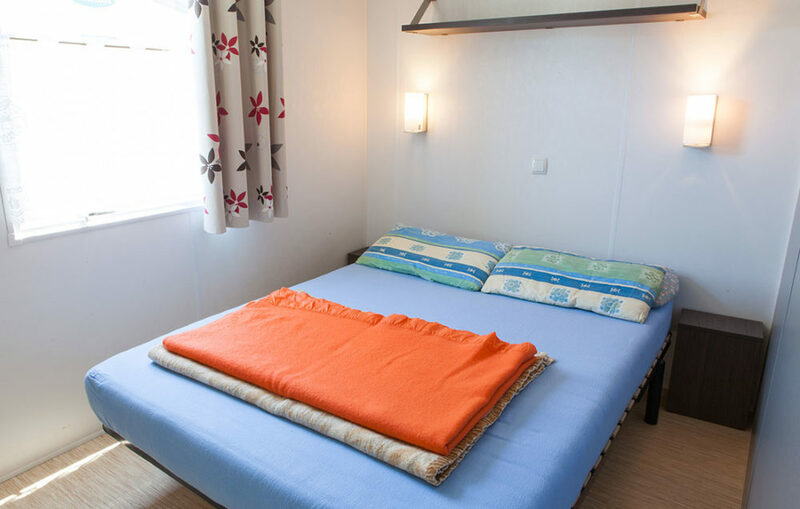 Our mobile homes are situated in an excellent, quiet location within the camp grounds. 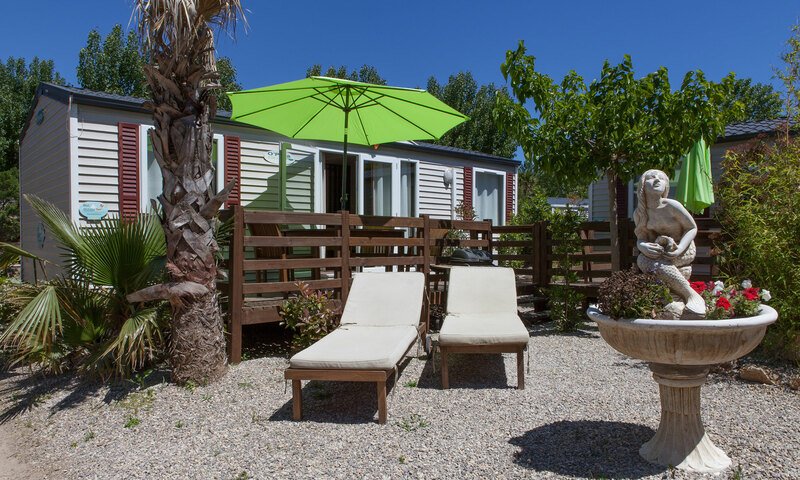 We take pride and joy in our work and strive to do our utmost to ensure that your vacation is as relaxing and enjoyable as possible. 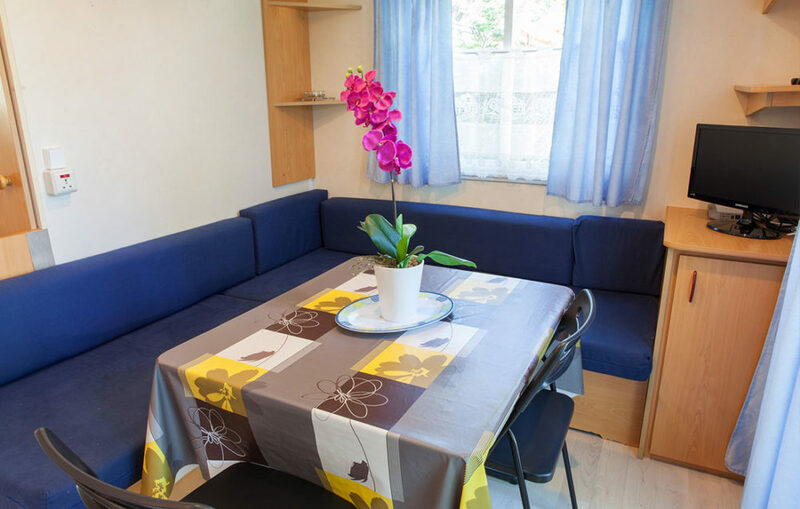 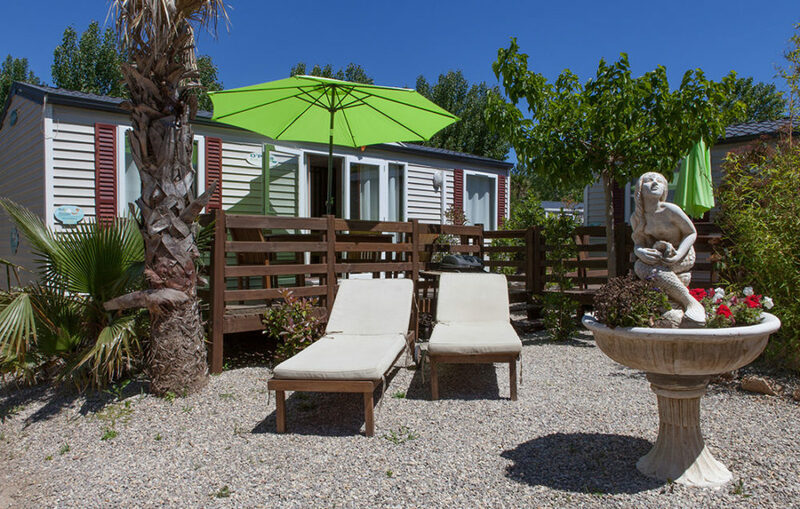 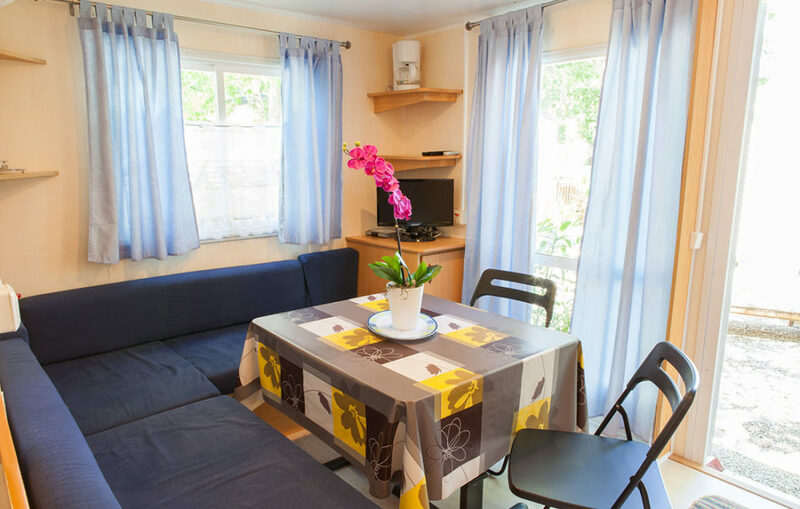 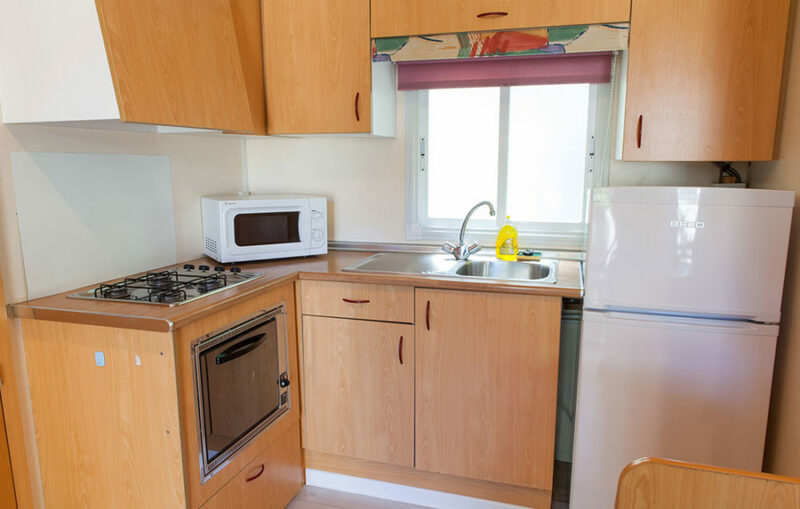 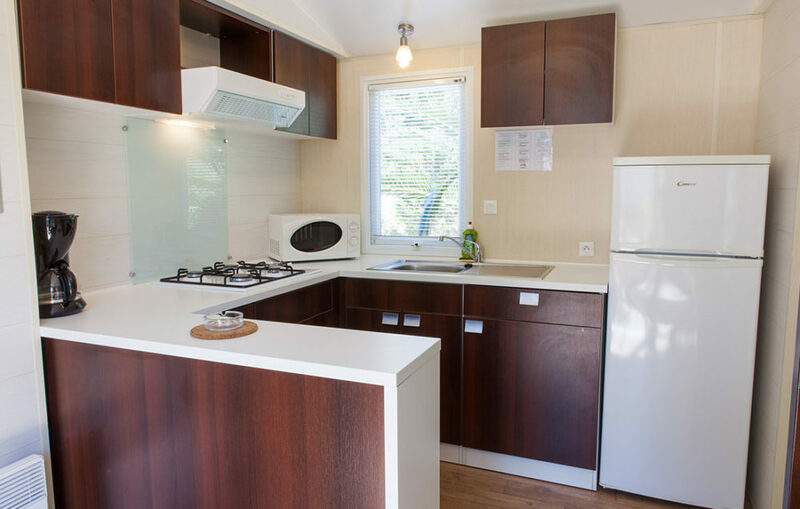 All of our mobile homes feature a living room, a cooking area (equipped with cutlery, plates, a toaster, a filter coffee maker, a refrigerator with freezer, a microwave oven) and a covered terrace. 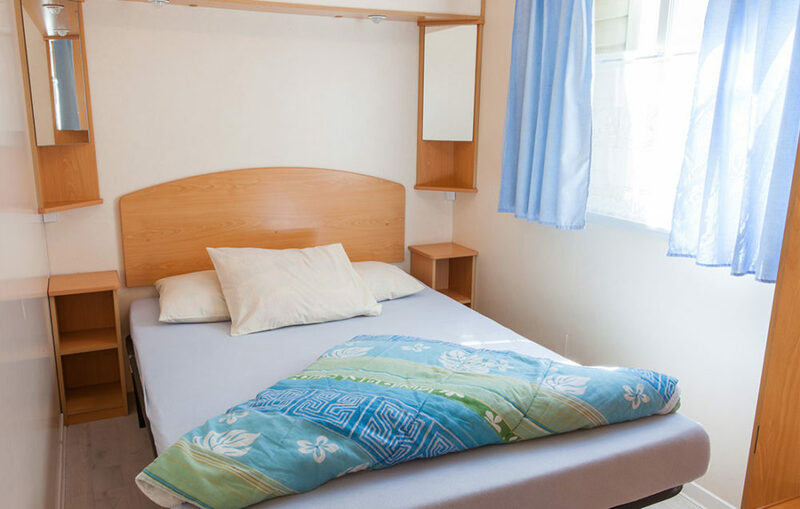 All units have free private parking. 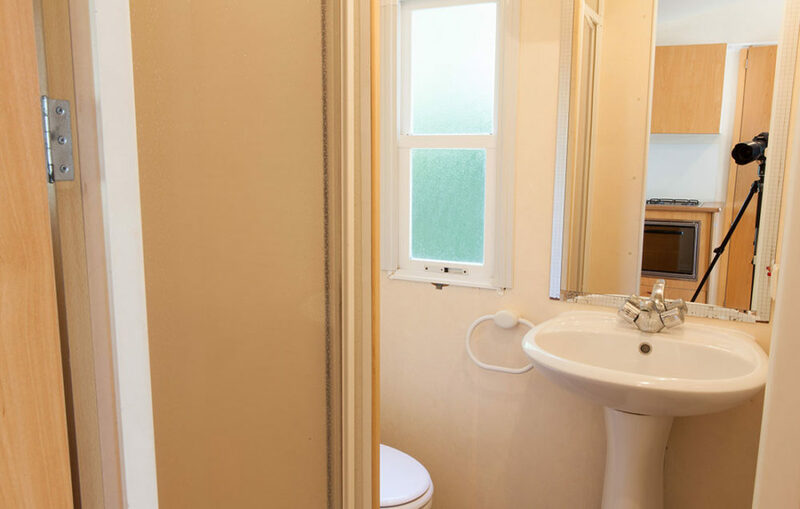 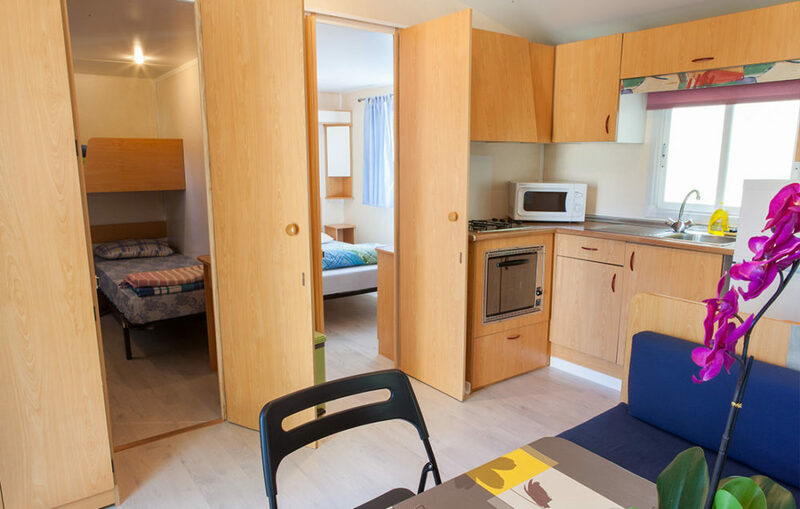 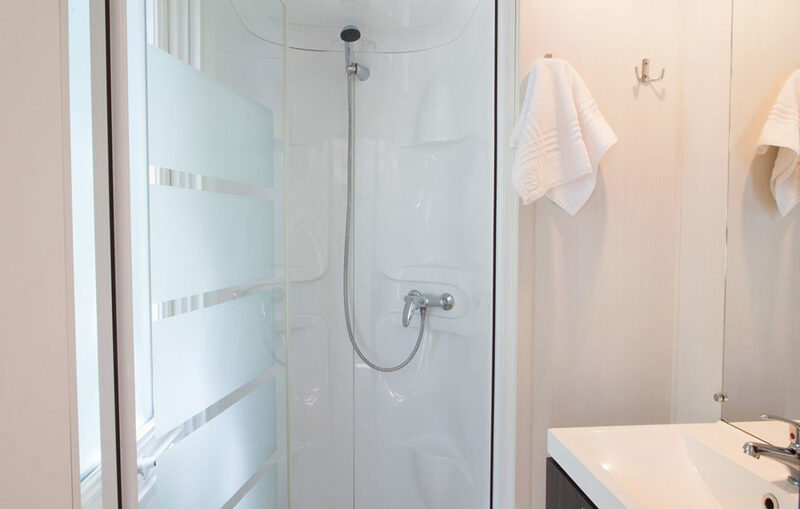 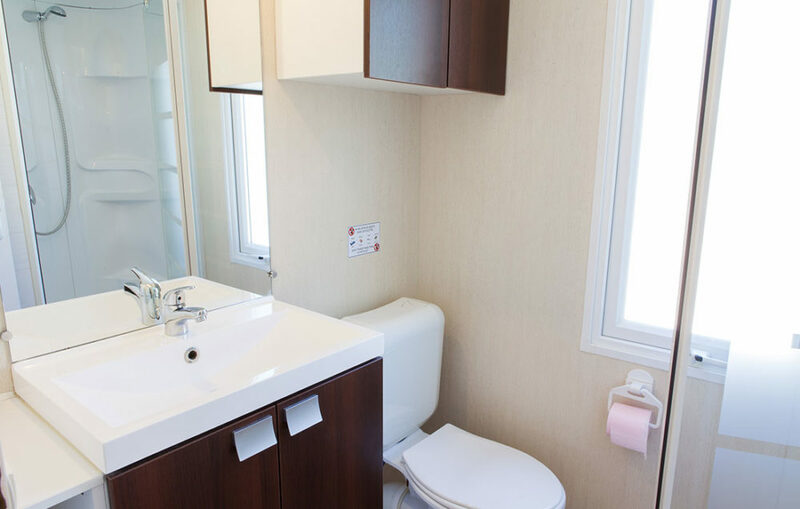 The Grimaldine Smart features 2 bedrooms, one with a double bed and one with single beds, a TV with French channels, heating and air conditioning. 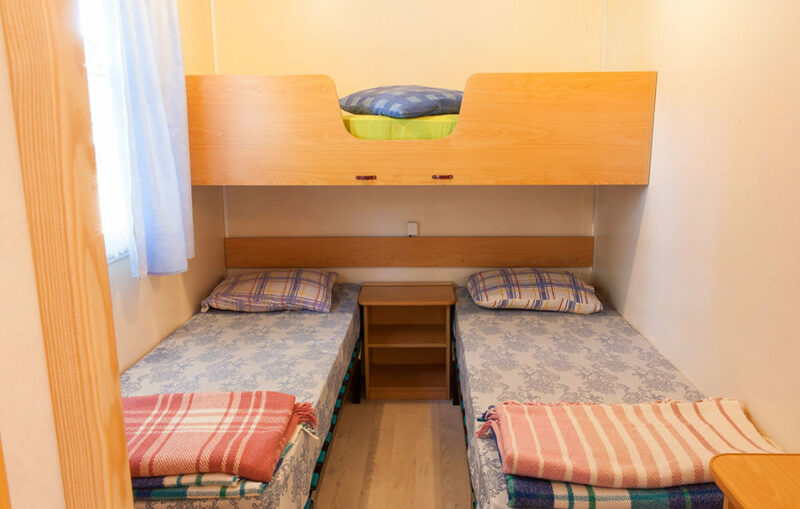 The Grimaldine Premium features 2 bedrooms, one with a double bed and one with single beds, a TV with satellite channels in different languages, heating and air conditioning. 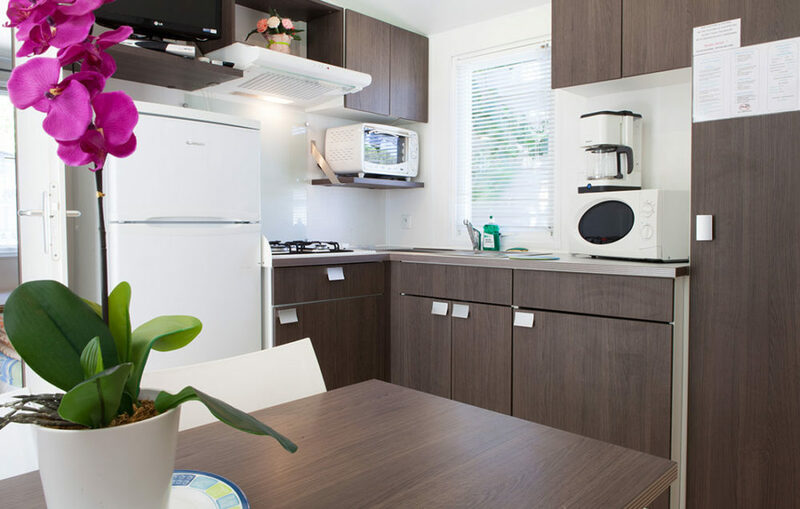 Free personal Wi-Fi for up to 3 devices. 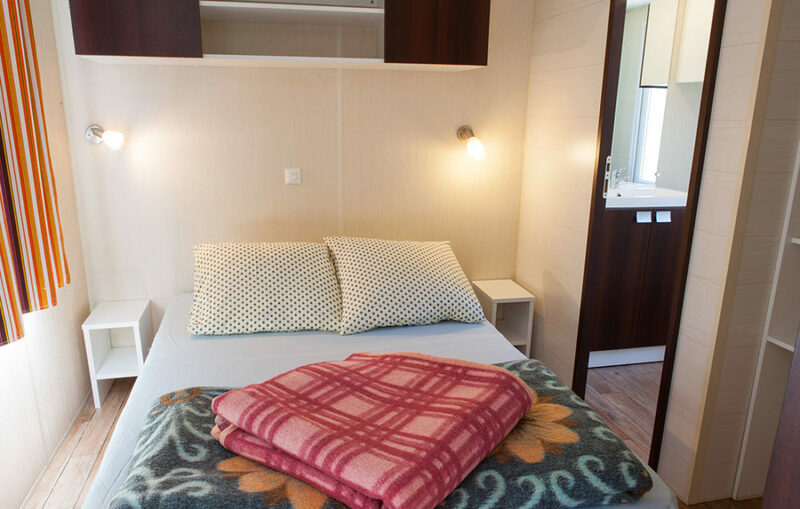 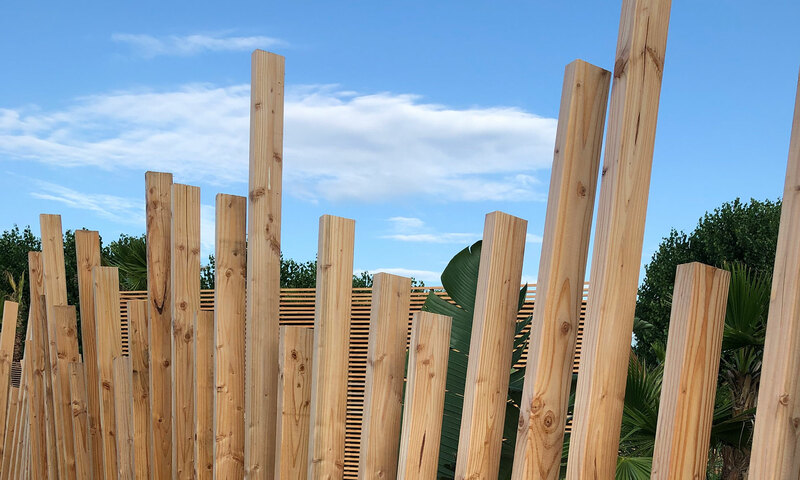 The Provenzale Premium features 3 bedrooms, one with a double bed and two with single beds, TV with satellite channels in different languages, heating and air conditioning. 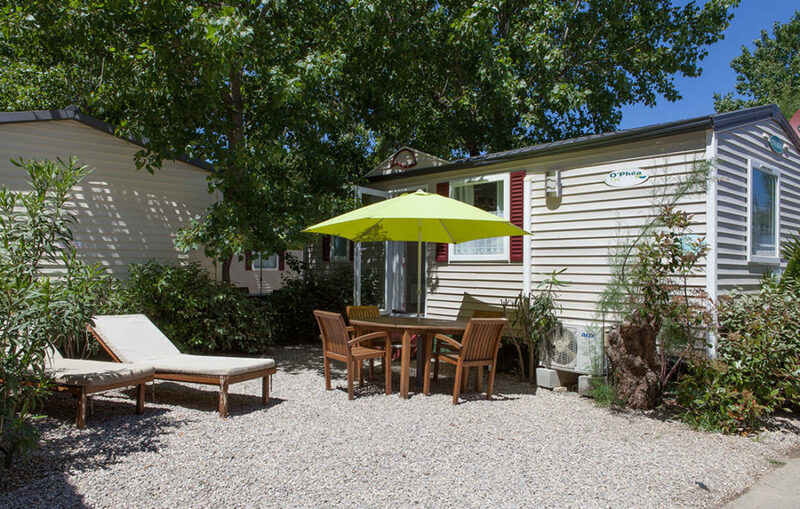 Free personal Wi-Fi for up to three devices.